Barbara Foti Sirles Hinson, age 96, of Warsaw, Virginia, went home to be with our Lord and Savior on Saturday, November 3, 2018. She is survived by twin sons, Harold Hinson and Harvey Hinson (Brenda), adopted grandchildren, Brian Hinson (Lori) and Karen Hinson Gregory (Paul) and grandchildren, Harold Thomas Hinson, Jr. (Chris), Lisa Hinson Orlosky (Greg), Jeff Hinson, Jason Hinson, and Brett Hinson (Tracey); great-grandchildren, Kimberly, Madison, Natalie, Ryan, Taylor, Kathryn, Benjamin, Kinley, Ava, Harvey, Ryleigh, Byrnn, Irina, Rachael, and Richard “Rick” Jr.; great-great grandchildren, Jamar, Rylee, Jayd Lynn, Adyen, and Lilly. Barbara’s family was her greatest love and pride. She was born in Welch, West Virginia to Betty Blevins and Samuel Foti. Her mother told her the whistles were blowing at 05:00 am at the coal mines when she was born. She had a long career as a telephone operator at Tidewater Telephone Company in Warsaw, Virginia. She was preceded in death by her son, Sammy Hinson; grandson, Richard “Ricky” Dwayne Hinson, Sr.; husbands, Harvey Alexander “H.A.” Hinson and Edward Warfield Sirles; brothers Patrick and Tommy Foti and sisters, Pammy, Dolly and Dorothy. A funeral service will be held at 11 am on Saturday, November 10, 2018 at Cobham Park Baptist Church with interment following in the church cemetery; Reception to follow in the fellowship hall. Visitation will be from 10 am to 11 am at the church. In lieu of flowers, memorial contributions may be made to Cobham Park Baptist Church at PO Box 306 Warsaw, VA 22572. 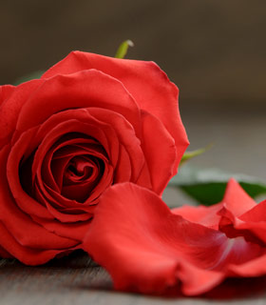 To send flowers to the family of Barbara Elizabeth Hinson (Foti), please visit our Heartfelt Sympathies Store. Condolences to the family. Barbara was an inspiration to many people and will surely be missed. Praying for comfort during your time of loss. My condolences to the Hinson family and friends. My dear spiritual sister knew that our loving Heavenly Father calls death an enemy and that he is going to remove it forever(1 Corinthians 15:26; Isaiah 25:8). He did not purpose his human family to grow old and die but purpose them to live and enjoy life. It is still his purpose (Psalms 37:11, 29). She believed his promise to awaken love ones in the memorial tombs from asleep in death__ Hosea 13:14 “From the power of the Grave I will redeem them; from death I will recover them.” She also believed his promise to reverse the aging process__ Job 33:24,25 “Let his flesh become fresher than in youth; Let him return to the days of his youthful vigor.” What a delight it will be to see her again to enjoy life as our Creator purposed (Psalms 145:16)! Allow these words to keep comforting all of you.